*All offers to well qualified customers with approved credit through Southeast Toyota Financial Services with $0 security deposit. 36 month lease examples based on New 2019 Toyota Prius c L #1201 MSRP $24,206 with 12000 miles per year. Includes all qualifying lease cash and incentives including owner loyalty if applicable. ALL lease offers plus $899 dealer fee, $795 bank acquisition fee, $498 electronic title, tax, tag, first payment. $239 lease requires additional down payment of $2,999. **$0 down payment lease option monthly payment $329 available with approved credit. See dealer for complete details. 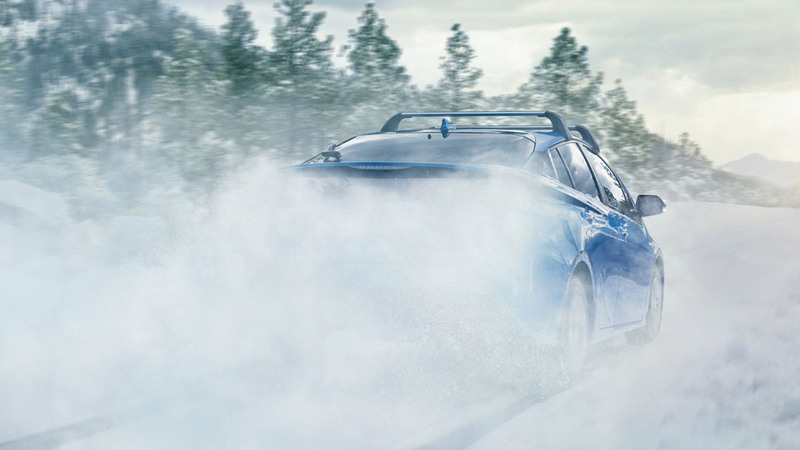 The beloved Toyota Prius is back and better than ever with more available technology and a new AWD-e powertrain that gives the Prius more traction than ever before, allowing you to even go off-road. With new technology and the same amazing fuel efficiency, the new 2019 Toyota Prius pushes the boundaries of technology even further. The new 2019 Toyota Prius is powered by 1.8-Liter, 4-Cylinder that helped raise the car to fame as one of the most affordable, fuel-efficient cars on the road. 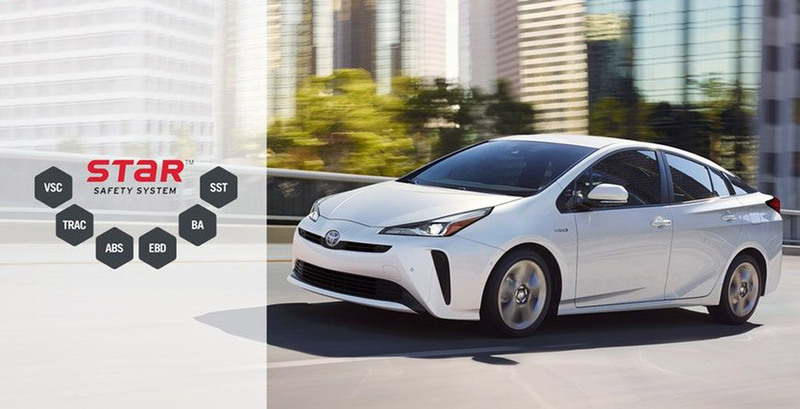 Despite having more power, more technology, and being more spacious than the first Prius, the new 2019 Prius is still as efficient as ever with an EPA-estimated combined 56 MPG. Upgrading to teh AWD drive-train still preserves the fuel efficiency of the Prius with an EPA-estimated combined 50 MPG. Technology in the 2019 Prius was not an afterthought. With an available 11.6-in. 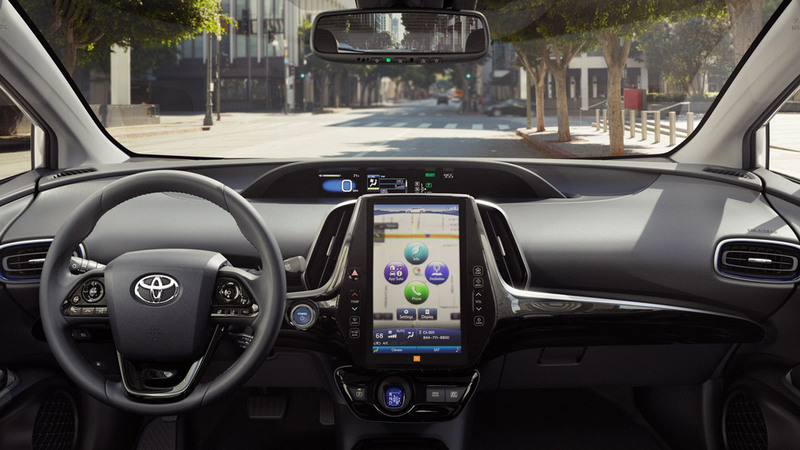 high-resolution touch the Toyota Prius offers one of the largest infotainment displays in the market. Besides the display, upgrading to the available media package includes improved JBL speakers, two rear USB 2.1A ports, predictive traffic and weather overlay, and 3-month All Access Satellite Radio trial. 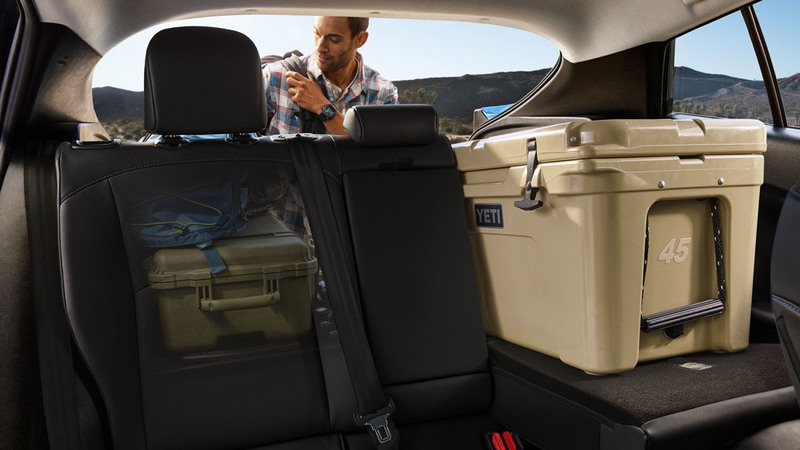 The 2019 Toyota Prius also features class leading cargo space with a hatchback design that allows you to load larger cargo. With over 60 cu. ft. of cargo space you’ll have plenty of space for a number of suit cases, bags, coolers, or anything you could need to load for a weekend getaway. Need more space? With the available cross bars you’ll be able to load bikes and more cargo on the roof of your new Prius. You can expect the same safety technology that’s available on all our new Toyota models. With standard backup camera, ToyotaCare for 25,000 miles and STAR Safety Sytem the new Prius is a very safe place to be. Plus, with available Blind Spot Monitoring and Rear Cross-Traffic Alert you’ll have access to the latest in car safety technology.